We often think of dogs as stress relievers for their owners, but the fact is they can also develop anxiety disorders—even if there isn’t an obvious reason. Environmentally-induced stress in your pet can include picking up on your issues, or frenetic activity going on around them. Here are some of the most common signs of dog anxiety to watch for, although the list is by no means exhaustive. Dogs who are regularly destructive when left at home alone are most likely suffering from separation anxiety. In puppies, this may take the form of excessive barking or howling, chewing furniture, having indoor potty accidents and scratching frantically at doors or windows to escape, according to the American Kennel Club. Older dogs may do any of these as well as pant or drool excessively, or pace in an obsessive pattern for long periods of time. Preparing to leave by picking up your keys, then putting them back down. Put on your shoes, then take them off again. Go out for a few minutes and return quickly, so he gets used to you coming and going without actually, well—going! Plugging in a dog-friendly pheromone diffuser when you’re out. Leave recently-worn clothing where the dog can lie on them and feel close to you. Keep your departure low key without lots of fuss, and ignore the dog for the first few minutes when you arrive home. 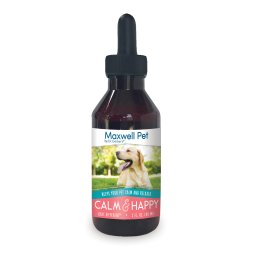 Consider dosing your pet with natural calming supplements, such as MaxWell Pet’s Calm & Happy. Providing a special treat or toy only when you’re out. Displacement behaviors are normal behaviors displayed out of the appropriate context, which show the dog is experiencing conflict and anxiety. He wants to do something, but he is suppressing the urge to do it and replacing it with something else. Signs of common displacement behavior include yawning or scratching, which in the right circumstances are signs that the dog is uncertain how he should behave. Suddenly biting at his paws or another body part, focused sniffing at the ground or another object or a ‘wet dog’ shake when he isn’t noticeably wet or dirty are also displacement behaviors. These are all actions dogs do anyway, so it’s essential to look at the context to determine whether the dog is feeling anxious. For example: if it’s bedtime and the dog gets up, stretches, yawns and goes to her bed, then that yawn was not a displacement behavior. If it happens during the time you’re starting to prepare to go to the store and buy groceries, it may well be your pooch gearing up to stress over your exit. What to do about this: Take note of when this behavior happens. 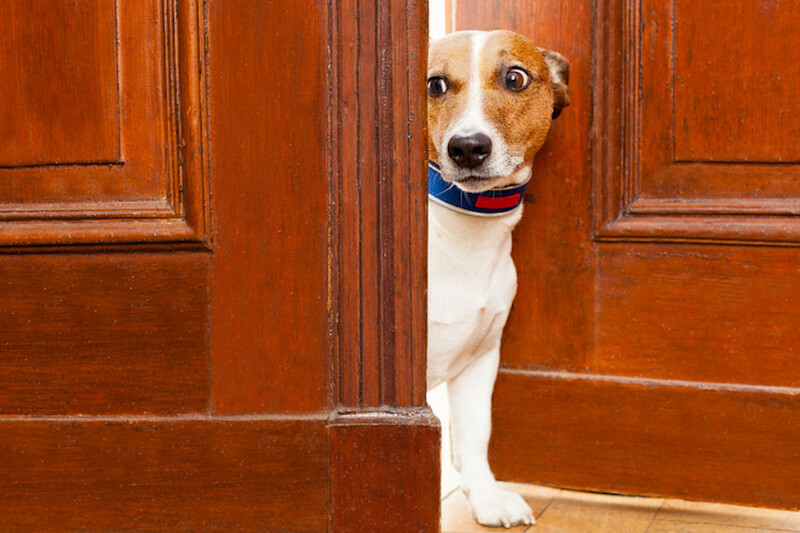 If the dog is over-stimulated or they think you might be leaving to go out, his body language might tell you whether this is stressing him out or not. These signs can be subtle, but early detection enables you to make a change for the dog, before a mild anxiety attack overflows into more severe actions. Many dogs suffer from noise phobias and are afraid of loud noises such as fireworks and thunderstorms, and the presence of these can cause them to become completely terrified and unmanageable. Research shows certain breeds are more predisposed to this problem than others, older dogs are more afraid of fireworks, female dogs were more noise sensitive than males and neutered dogs more so than intact dogs. Animals afraid of noise were more likely to also have separation anxiety and took longer to calm down than those who weren’t. What to do about this: If you know ahead of time you can administer a natural remedy such as MaxWell Pet’s Calm & Happy, or a generic option such as Rescue Remedy. You can also rub the dog down with dryer sheets before storms to reduce the build-up of static on their fur. Play music or white noise to interfere with the sound, but watch your dog’s reaction to this because adding other loud sounds to the mix could make their anxiety worse. Click here to learn more about the MaxWell Pet range of natural dog supplements, or to order your bottle of Calm & Happy.